Rüsselsheim. Opel is extending its library of innovative “That’s How it Works” video tutorials. After launching the format at the end of 2016, with videos providing explanations and tips on infotainment, the tradition-rich carmaker from Rüsselsheim is now expanding the scope to include Advanced Driver Assistance Systems (ADAS). The new videos on ADAS celebrate their premiere with Adaptive Cruise Control. Using the proven blend of simple video animation and easy-to-understand narration familiar from the infotainment tutorials, the short video shows how the technology works and explains how the driver can operate the system. Adaptive Cruise Control (or ACC for short), which Opel currently offers on selected versions of the Astra, Zafira, Grandland X and new Insignia, uses radar and camera sensors to detect vehicles in the driving lane ahead. The system measures and maintains a following distance to the preceding vehicle by automatically adapting the car’s speed. The technology can even brake the car to a complete standstill if it is equipped with an automatic transmission. The driver operates the system via buttons on the steering wheel and the current settings are displayed clearly in the driver information centre. 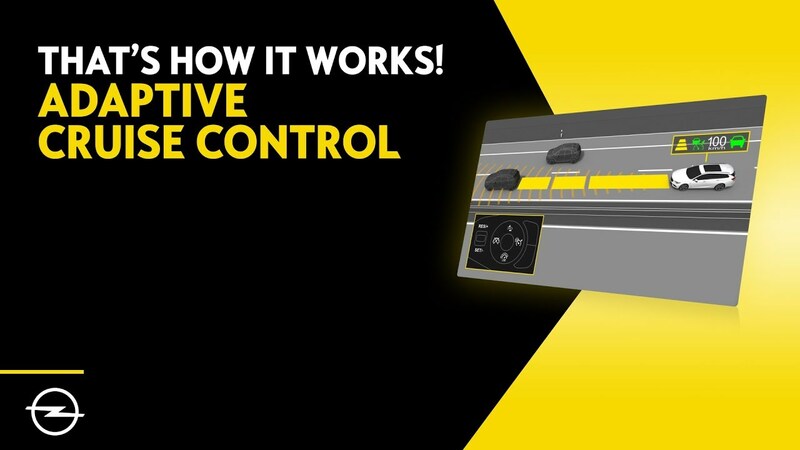 The “That’s How it Works” tutorial for Adaptive Cruise Control can be viewed in English on YouTube. The video is also available in German, French, Italian and Spanish and with local subtitles in many other markets. Additional video tutorials, such as for Automatic Emergency Braking, are planned. Opel posted its first video tutorials, about the Navi 900 and R 4.0 infotainment systems, in December 2016. In the meantime, the brand now offers 11 videos, covering subjects ranging from Voice Control and Personalisation to Navigation, Apple CarPlay and Android Auto.